Direct from the Film Office — GreenSlate’s Kathleen Thompson, Vice President – Incentives and New Business Development, recently sat down with Don Gray, Locations Coordinator for the New Mexico Film Office. Among the topics discussed were the incentive changes from New Mexico’s 2019 legislative session, recent New Mexico productions, and the reasons filmmakers should consider filming their next production in the state. Listen to the interview here or read the full interview below. Hello everyone, this is Kathleen Thompson, Vice President of Sales & New Business Development at GreenSlate. Today we're speaking with Don Gray from the New Mexico Film Office. Hello Don, thanks for being with us. Hey, thanks for having me Kathleen. Absolutely. You have just had a great legislative session. Can you share with us some of the exciting updates that are coming? Absolutely. The biggest thing that we did is that we increased our yearly cap to $110 million dollars, which is more in line with the kind of production that we have been doing. That's going to ease that a little bit and help us to increase production overall. The other thing that's really pretty exciting about what we did is even though we have that $110 million dollar cap, we're going to actually exclude what we're calling our ‘New Mexico partners’ — that's production companies that come and buy or lease a facility for at least 10 years and really make a commitment on the ground here. For example, like recently what Netflix did. Netflix bought Albuquerque Studios, set up shop, and they're gonna be here for the long haul. Their production spending is not capped in any way, and that's just a great way for us to encourage people who will be here and commit for the long haul, so we're excited about that. Unfortunately, in the past, since we had a $50 million dollar cap, which was a rolling cap, what that ended up doing was creating sort of a backlog of payments. I mean the good news was we were doing a lot of business and that's exactly what we want to do, but because we had this rolling cap which sort of pushed payments off into the future, we created a backlog of credits that we owed. Also included in this Senate bill is the appropriations of the money to pay off that backlog, so we do not have to worry about that anymore. That is really exciting. The Netflix commitment is such a strong statement about it. Absolutely. I mean of course we love the productions that just come in and maybe they do a feature and then they leave, and we're happy to have them here. That's part of the industry, how the industry works, but creating content these days is what it's all about. We really are excited to have some entities that are here over a longer period of time, which increases employment and it's a little bit more steady, a little more predictable. They also become really enmeshed in communities and we're excited about that prospect. Absolutely. So, in addition to being a great incentive state, what are the top three reasons filmmakers should come to New Mexico? Well look, I'm the Locations Coordinator, Kathleen, so I'm going to tell you that the first thing that's incredible about New Mexico is our locations. We have some incredible natural beauty, incredible light at high altitude, which is what most of the state is, a lot of variety in locations in general, and good weather year-round. Seasonal weather by the way. So even though it's very temperate here, if you need snow in the wintertime, we actually get snow in areas in the wintertime, so you can go shoot up in the snow if you need to. But in general it's very easy and accessible in terms of the different zones and the different locations we have to offer. The other thing I would say is we're a pretty easy airplane ride from Los Angeles. Under two hours, it's not a big schlep; you can go home on the weekend and see how the kids have grown over the week, and that gives us, I think, a decided advantage as well. The third reason I want to point out is New Mexico is one of the first states to get into the incentive game. We did it, actually, I like to remind people, because at that time a lot of U.S. production dollars were going to Canada. New Mexico is interested in bringing some of those dollars back here, and we did that in 2002. Now we've been making movies in New Mexico for 121 years, but it really took off when we passed the incentives in 2002. The third reason really is that we have an incredibly mature industry here. We have the crew base, we have the infrastructure, we have support services and businesses that can deliver what you need for your production. We're not new. We're not the new kids on the block. We've been doing it quite a while. So sometimes there might be a really good incentive but you can't source anything locally, and that's not true of New Mexico. We're ready for you, we're ready when you land. That is wonderful. So, without spilling anything confidential, who's come to New Mexico lately? Let's see. The ones that I can mention, we just wrapped up season one of ‘Roswell, New Mexico,’ which is an MGM Television program, and so that's pretty exciting. It doesn't happen very often, but it's actually something shooting in New Mexico that's actually set in New Mexico, so that's kind of fun. Then we have ‘Daybreak,’ which is a Netflix television program, and ‘Our Lady LTD,’ which is an MGM program as well. Got it. Wow, that's exciting. Well I know that GreenSlate has had a great experience in working with the Film Office in terms of your responsiveness to us and to client inquiries, which we're forever grateful for. Do you have a close relationship with producers and filmmakers once the production starts? Absolutely. We're an arm of the Economic Development Department. Our job is to make jobs and economic impact, but we have a really high level of emphasis on customer service. When you arrive at a place to start shooting, there's a lot of work to be done. Even prior to that, when you're making inquiries and trying to figure out where you're going to go, there's a lot of work to be done, and we try to be resource ready, accessible. One of our hallmarks is that somebody live answers our telephone all the time, so that you don't have to go through a phone tree to try to get to somebody. You're going to get a friendly voice, and they're gonna get you to somebody who has the information that you need. We just want you to feel like you're welcome, and you're actually going to be ready to go when you need to go. That is so wonderful. I mean I know that that has personally been my experience for over 12 years that I've been in this industry. I can't thank you enough for taking the time to speak with me today. I know that it's an incredibly busy time for you. Congratulations again on all of the exciting updates just about to be signed off on in the governor's office. Any final thoughts? We're ready for you. Come on to New Mexico. Great stuff happening, and we'd love to have anybody here that would love to be here. Thanks, Kathleen. Absolutely. Thanks for being with us. For all the details on the New Mexico incentive including funding, caps, labor, and more, visit The New Mexico Film Office at nmfilm.com or the GreenSlate website at gslate.com. Don, thanks so much for being with us today. Considering New Mexico for your next production? Explore GreenSlate’s suite of intuitive, web-based production incentive tools – including an interactive map, comparison tool, and incentives calculator – to easily search, compare, and calculate production incentives on any device. 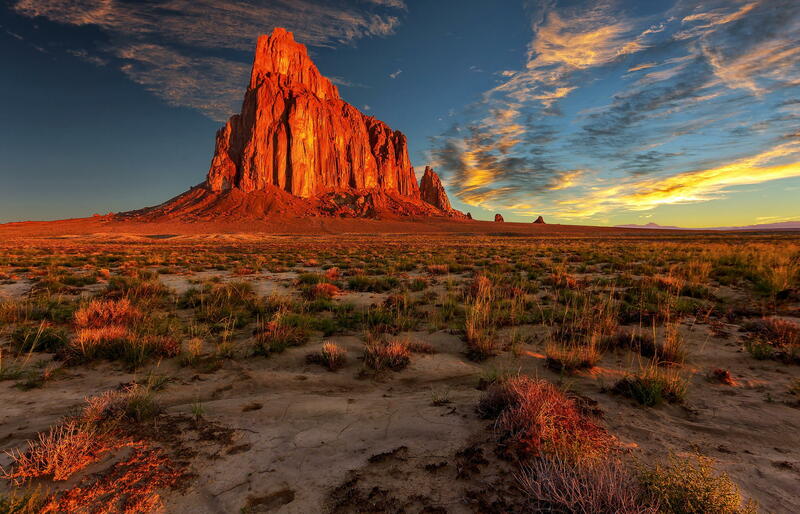 To provide our New Mexico clients with the best service and support, we also have an Albuquerque, New Mexico office. Contact Kathleen Thompson, Vice President - Incentives and New Business Development, at kathleen.thompson@gslate.com, with any tax incentive inquiries.